Want to please your friends, friends, colleagues? Take advantage of our offer and purchase in ourgift vouchers for massage. Gift vouchers for massages in Prague in the values ​​of 350, 700, 1050, 1400 and 2100 CZK entitle the holder to use our massages in the corresponding value. Gift vouchers can also apply at Thai restaurant Siam Orchid www.siamorchid.cz (Na Porici 21 - next to the White Swan). Price 350 Kč Gift vouchers for traditional Thai massage can be used to pay any massage. 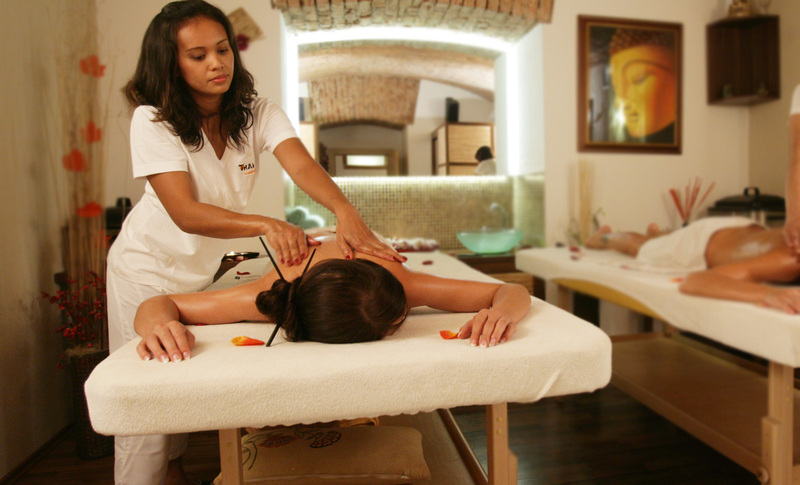 Price 700 Kč Gift vouchers for traditional Thai massage can be used to pay any massage. Price 1050 Kč Gift vouchers for traditional Thai massage can be used to pay any massage. Price 1400 Kč Gift vouchers for traditional Thai massage can be used to pay any massage. Gift voucher Thai Gold Oil Massage 60 min. Price 1400 Kč Gift vouchers for Thai Gold Oil Massage. Gift voucher Romantic Massage for two 60 min. Sauna gift voucher 60 min. Vouchers can be purchased in person every day from 9.00 to 21.00 in all studies Thai Fit. Vouchers have unlimited validity. Vouchers will be sent by post. The value of the vouchers will be added a single postage and packing of 80, - CZK. Estimated delivery time is within 3 working days after order confirmation. Vouchers have unlimited validity. The advantage is that you send e-vouchers immediately after receiving your order and you can print them yourself or you can transfer / donate / e-mail without personal contact. After sending the e-voucher we require payment within 7 working days of transfer or being placed on our account. After attaching the appropriate amount to our account (usually the second business day after payment) vouchers become valid. Outstanding vouchers will be canceled after this deadline. E-vouchers are valid for 6 months from date of issue.